Etiquette experts recommend that social conversations stay clear of such controversial topics as politics and religion. Clearly they had a lapse in not including pizza preferences. Likes and dislikes and the best place for a pie or a slice are put forth with particular vigor in social media's virtual conversations. Bravely, a giant in that realm, Foursquare, asked users to cite the best pizza option in their state. Here are the 51 top choices. 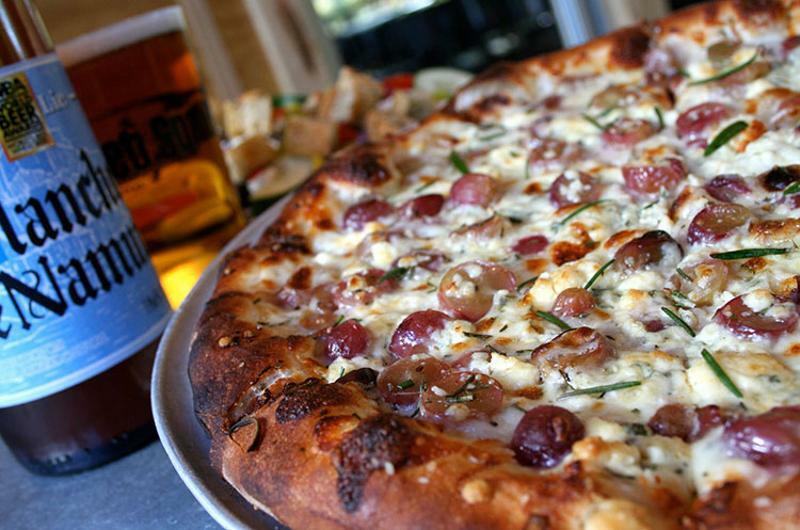 We've buttressed the list with observations aimed at people who are looking to sell pizza rather than wash some down with a pitcher of beer. Here's the state-by-state augmented rundown, presented in alphabetical order by state. Slice Pizza & Brewhouse; Birmingham, Ala. Anything goes on a crust at Slice, including short ribs (served with caramelized onions, Asiago and horseradish sauce on the Lakeview pie) and soul food (blackeyed peas, turnip greens, locally made sausage and bacon on the Soul Pie). It promises customers a heavy use of local ingredients, and recommends which beer from its extensive list will pair best with each pie. 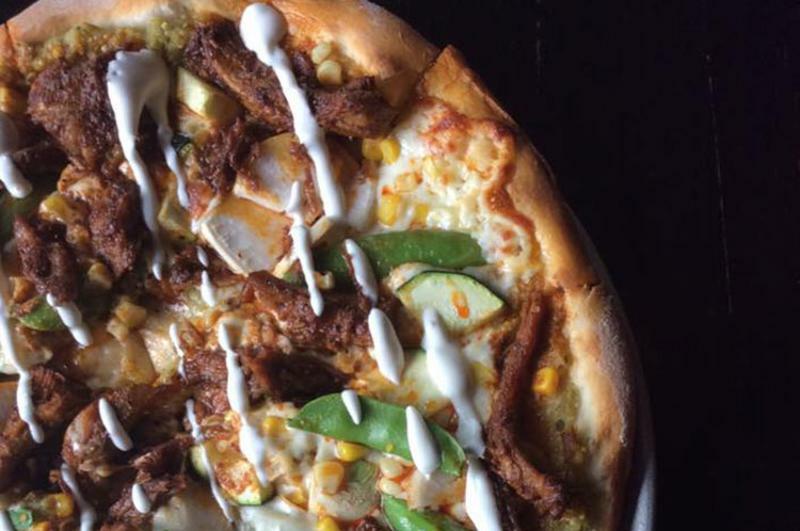 Customers can probably get a conventional pizza at the Moose's Tooth, but why would they? The options rotate to include such out-there choices as the current limited-time offer, The Coney Island, a pie featuring housemade chili, three cheeses, Italian sausage and Fritos. 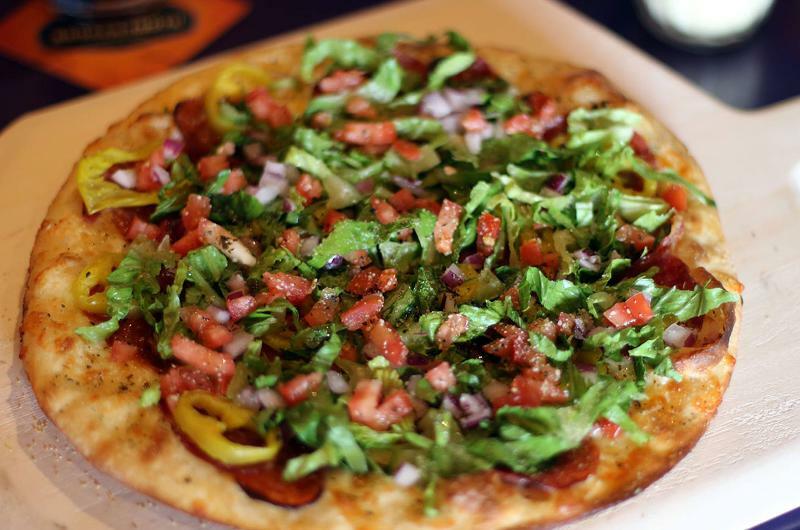 The King Grinder is a mashup of charcuterie (capicola, salami, pepperoni) and salad-type sandwich toppings (lettuce, tomato and onion added to the pie after it's baked). 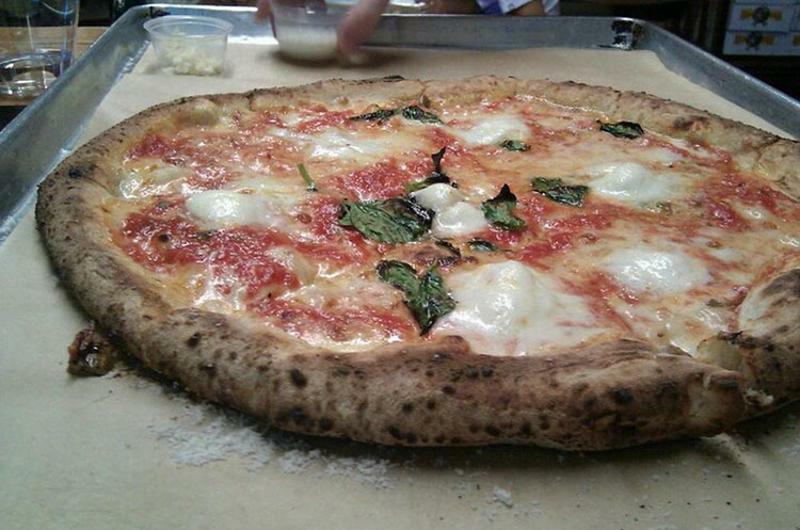 Each pie is made to order using hand-tossed dough and baked in a stone oven. The landmark is also known for its selection of craft beers. Housed in a landmark bank, Federal professes to be "a midcentury-meets-modern restaurant," with such current-day features as a drive-thru and a growler-to-go business. Patrons are encouraged to use the online menu to craft an order, but to use 20th century tech (i.e., the telephone) to phone it in rather than place the request digitally. There's also more than a nod to health, with specialty pies that include versions heavy with Brussels sprouts and sweet potatoes. 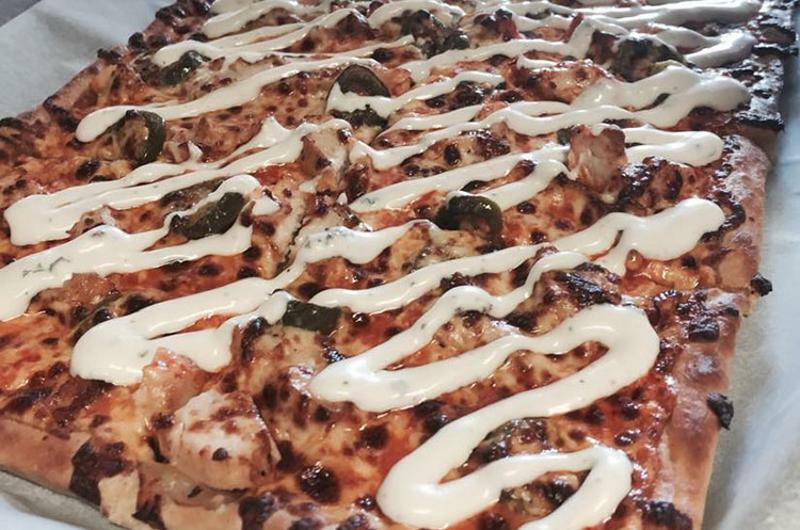 "The pizza will blow your mind," said one Foursquarer. Part of that might be the variety of the menu: "Try the Thai Peanut Pizza," recommends one fan. Another declares, "The pork shanks are the bomb." Other specialties include wings, including what the restaurant calls Pork Wings (the aforementioned pork shanks), and a calzone-like fruit dessert called the Fruity Cabooty. One of the rare multiunit operations on the list, family-owned Delfina promises farm-to-table ingredients blended into a Neapolitan-style pie. But its offerings extend far beyond pizza. The pizzeria hosts ticket-only pig roasts during the summer, and its takeout options include picnic packs. The pizza at the original Pizzeria Locale was so good that Chipotle founder Steve Ells bought into the concept with an eye toward making it a fast-casual chain. 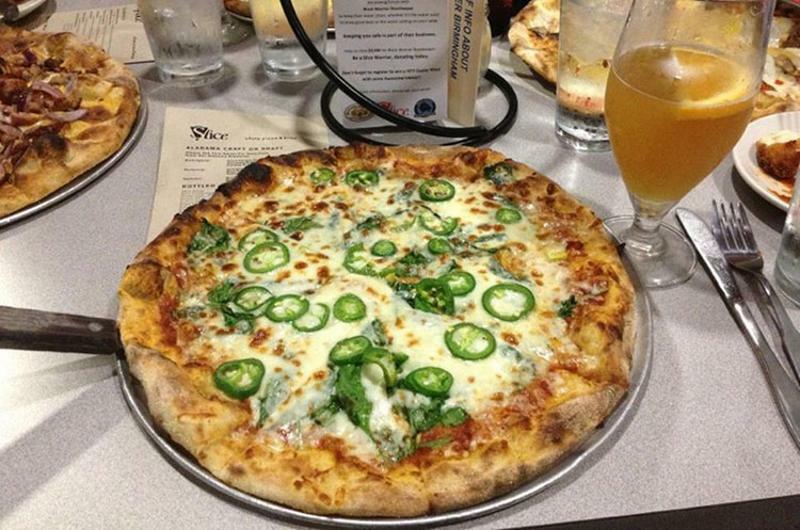 While the slimmed-down version is being refined and grown, the mother ship continues to reign as a hot local favorite. The full-service restaurant, a brainchild of two fine-dining veterans, sports a design described as elegantly casual, and wine is a big part of the appeal (and presumably the sales mix). Frank Pepe Pizzeria Napoletana; New Haven, Conn.
No pizza fan worth his or her oregano is unaware of Pepe Pizzeria, a place whose popularity has made it harder to get into than nearby Yale University. 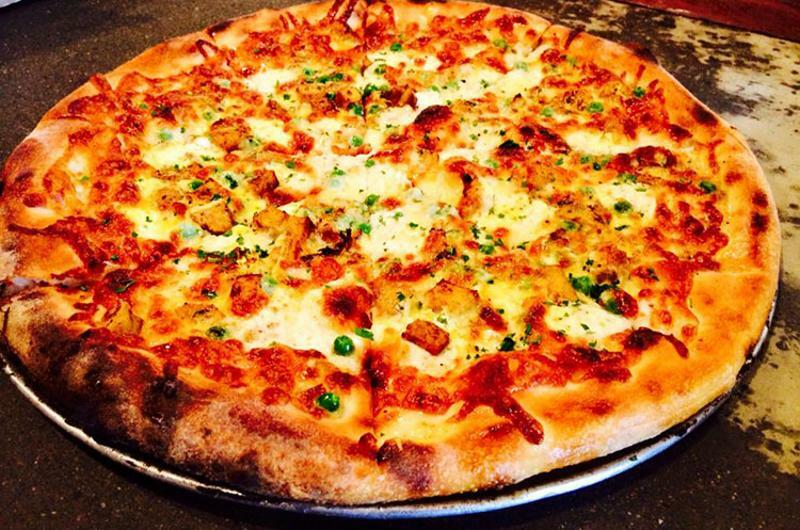 Among its signature draws is a clam pizza made with white cheese. Two former Restaurant Business editors can attest to its authenticity. After a pilgrimage from New York City to the sauce-and-mozzarella shrine, they were speculating on the operations and what kind of ingredients the place used. Certainly it couldn't shuck enough fresh clams to meet the demand. So one peeked inside a nearby dumpster and found a mountain of empty clam shells. It also uses fresh tomatoes during the end of summer. 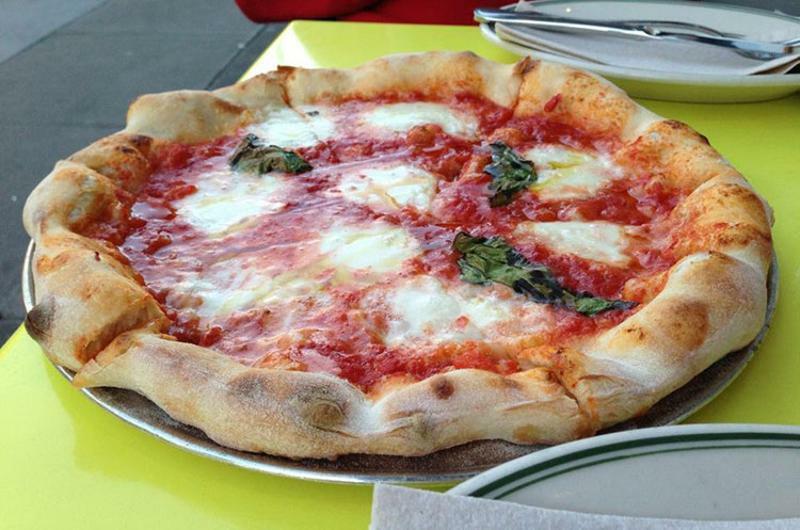 Menomale Pizza Napoletana; Washington, D.C. 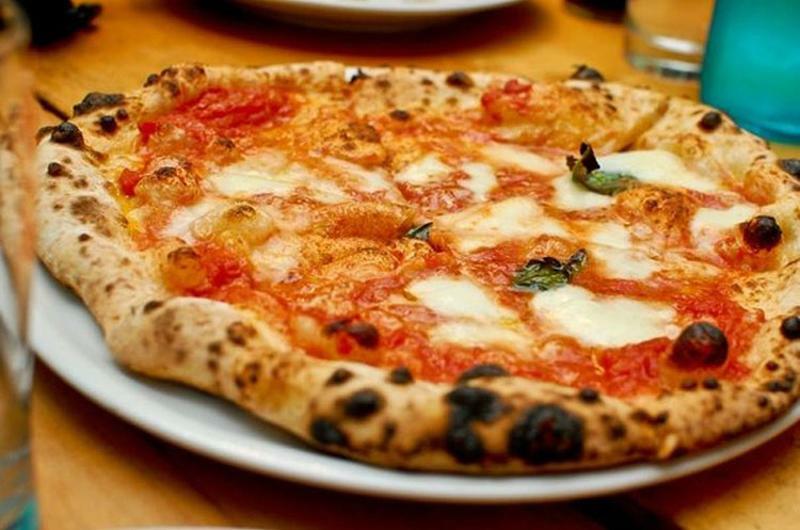 The wood-burning oven is manned by owners Ettore and Maria Rusciano, who can boat that they are true pizzaioli—pizza makers certified by the Associazione Verace Pizza Napoletana in Naples as professionals in their craft. The pair say their pies have a signature charred flavoring because of the 900-degree oven. Pizza by Elizabeths; Greenville, Del. The "Elizabeths" is a reference to the elegant women who have borne that name, including ones with the surnames Taylor, Arden, McGovern and Davis (as in Bette Davis). 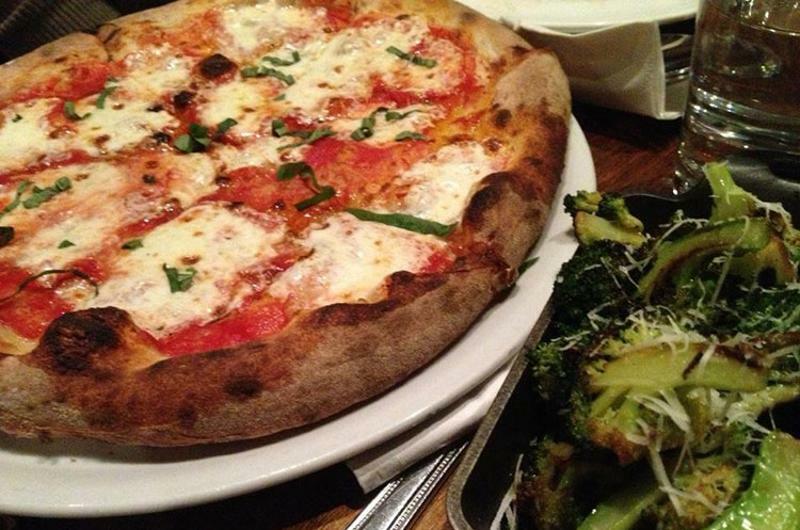 They set the tone the pizzeria strives to deliver, with full service, an upscale decor and a robust wine cellar. The prices are in keeping with that polished-casual mien. Appetizers start at $14, and most of the pies fall in the $15.25 to $17.50 range, with one bargain option: a margarita pie (actually named the Barrett Browning) priced at $12. But each listed pizza is also available in a lower-ticket "mini" version. Patrons can also order a custom pie, choosing their crust (including a gluten-free option), the style of sauce (chunky, regular or garlic) and any mix of 60 ingredients. The one nod to the fast-service market is the availability of takeout pies. Luigi's Coal Oven Pizza; Fort Lauderdale, Fla. Yes, there really is a Luigi—a chef, Luigi DiMeo, who immigrated from Naples, Italy, in 2005. According to the restaurant, he began making pies in strict accordance with the rules that are followed in Italy, but with a few concessions to American realities. That includes the use of a coal-fired oven like the ones earlier immigrants used in New York and Philadelphia pizzerias. Now a two-unit operation, Luigi's uses its coal oven for wings as well as pies, and also offers a line of panini. At the opposite pole from Pizza by Elizabeths is this unpretentious operation near the campus of Georgia Tech in Atlanta. It features communal seating, BYOB alcohol service, a wood-burning oven and a crowd of students willing to pay $18 and up for a pie. Operating in the mainland as The Flatbread Company, this Massachusetts-born chain has given its Maui branch a decidedly local twist, and we're not talking Spam and pineapple. The emphasis is on local ingredients like house-blended Hawaiian goat cheese, papaya and carrots from a local farm, and Maui-grown avocados. Organic and GMO-free ingredients are mentioned repeatedly on the menu. 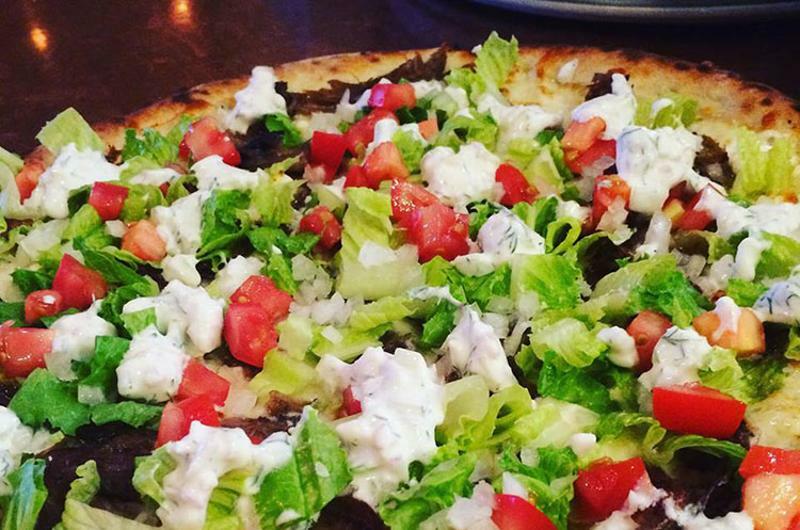 Everything has a slight twist at Idaho's favorite "pizzaria," right down to the spelling. 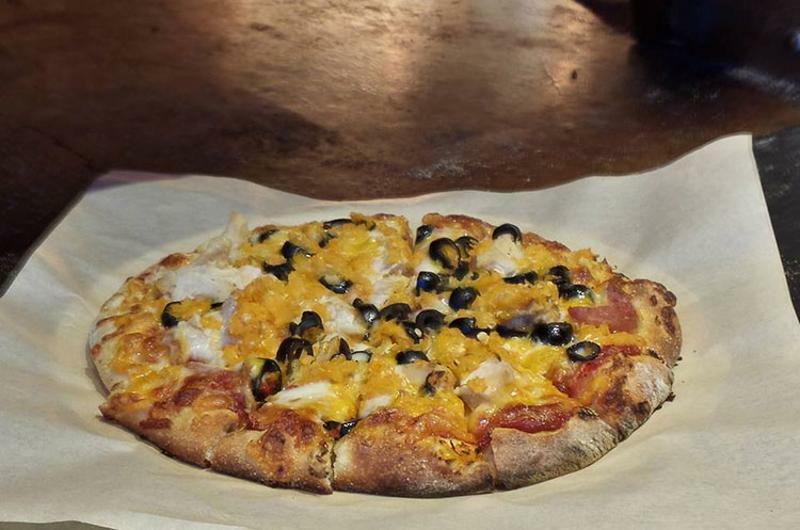 Choices include "Semi-traditional combinations," including pies made with smoked Gouda cheese, and "Non-traditional combinations," which include a pie made with black beans, a house Chile-N-Lime Verde sauce and sharp cheddar cheese. Each pie is offered in four sizes: 10, 12, 14 and 20 inches. 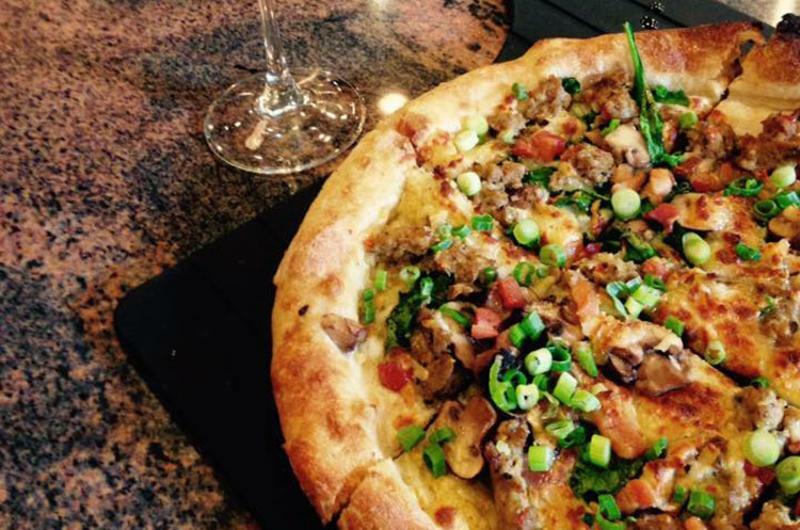 Flying Pie delivers beer and wine along with its food. Declaring that "pizza is good for you," Piece (its symbol is a riff on the 1960s-era peace sign) offers just three basic types, or half as many options as the draft list sports. Customers start with either a red pizza (sauce and mozzarella), a plain pizza (the sauce without the cheese) or a white pizza (the cheese without the sauce.) They then custom-spec their own pies, paying $2 each for some toppings, $3 for others. 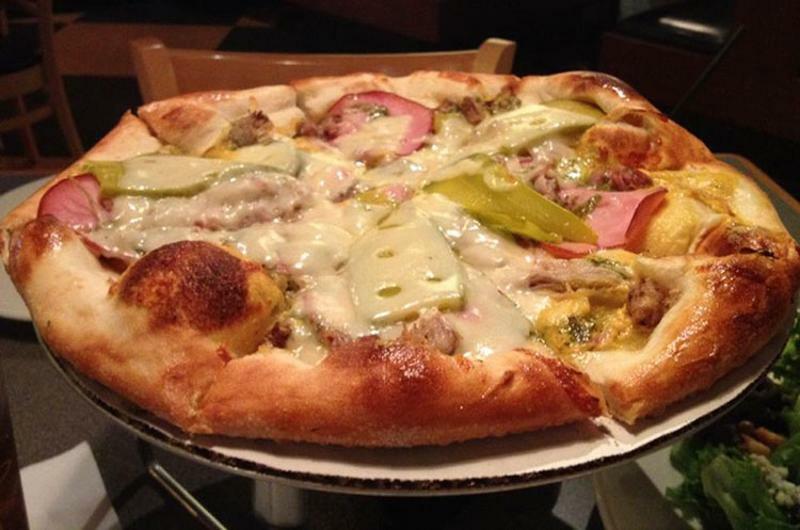 The pies all feature thin New Haven-style crust—a controversial move in the heart of deep-dish pizza land. Piece also features karaoke and entertainment. If you miss the selection of Hangover Pizzas on the menu, the logo for Jockamo should deliver the message that this is no vanilla mainstream concept. The icon of a chimp in top hat and monocle sits atop a menu that might make The Cheesecake Factory do a double take. 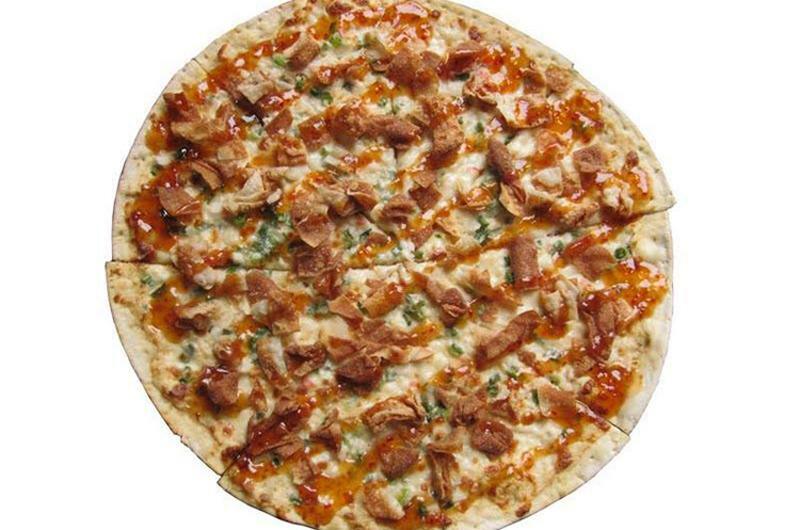 The pizzas range from the staples to a roasted potato pizza, the Seoul Man (basically Korean barbecue on a crust), The Bollywood (an Indian riff) and the Creole (essentially etouffee atop the dough). 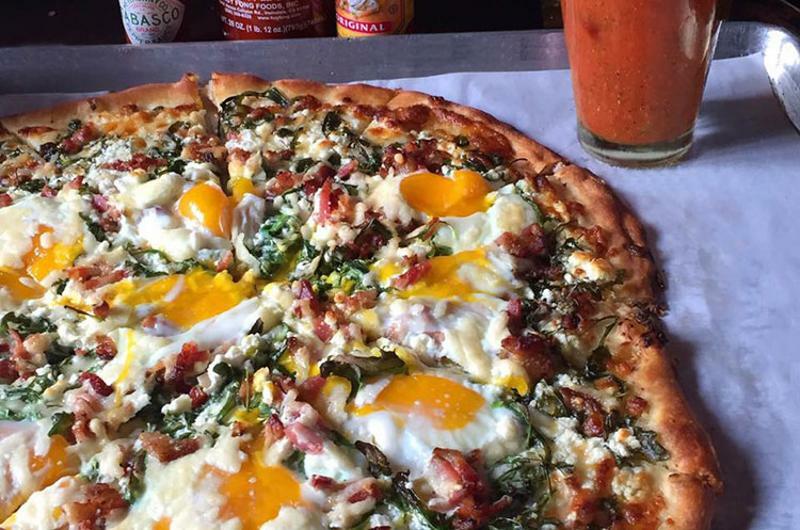 The Hangover Pizzas, by the way, are only available on Saturday and Sunday, and sound like a full breakfast served in pizza form. One of the head-scratching concepts on the list, Fong's specializes in what it describes as "Asian-inspired pizzas" and appetizers. Pie choices include one called the Egg Roll (a sweet-and-sour sausage pizza), Sweet & Sour Chicken and one made with crab rangoon. Appetizer options include egg rolls and pizza rolls. The bar of the full-service establishment features Tiki-style drinks and a wide array of beers. The Asian bent was a result of the restaurant opening on the site of a former Chinese restaurant, part of the lore known well by local fans known as Fongolians. 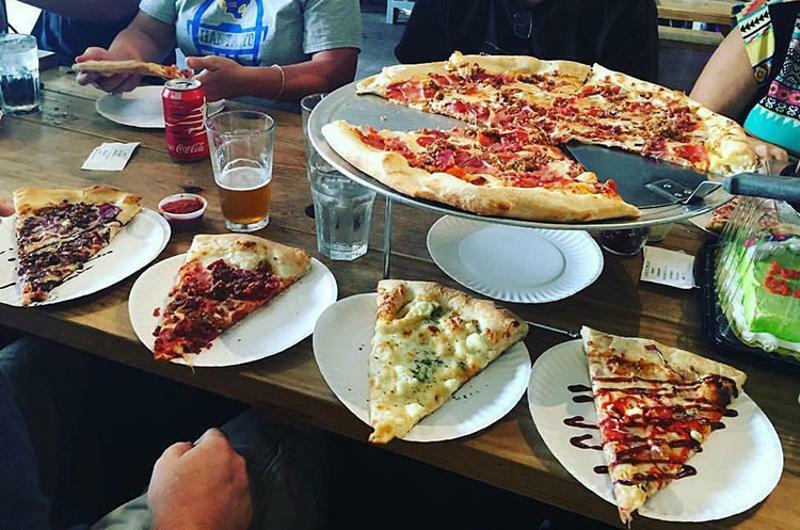 The neighborhood pizza joint is alive and well in the Wichita shopping center that houses Ziggy’s, a concept that strives to be a local favorite rather than the next big franchise concept. The establishment stresses that it’s a great place for special occasions, but reminds patrons that it’s also a nice place to hangout with friends and family. Promising “a slice of New York City,” Goodfella’s is what Godfather’s might have grown up to be. A lounge is integral to the concept, and the ambience relies much more on classic New York accents than the bright colors and hard surfaces of a shopping mall walk-up. There’s almost a speakeasy feel to the Covington unit, a particular favorite among Kentuckians. Pizzas start as low as $12.95 (for a 12-incher) and run as high as $34.95 for the Fuhgetaboutit, which packs every topping the place uses. The Mafia theme is a bit heavy-handed, but with enough humor to ease any don’s ire. A perennial top finisher in any ranking of the Big Easy’s pizzerias, Pizza Delicious counts on execution to set itself apart. It features daily special pies like the Hot Soppressata (with sweet peppers and pickled onion) along with some pastas and a few small plates. Unusual topping choices include Sriracha-flavored pineapple, vegan “cheese” and Peppadews. Unusual ingredients are a signature of this 7-year-old downtown hotspot. It just insists that they be fresh and local if possible. Hence the use of cranberries and mashed potatoes, the latter served with bacon and scallions for one of the pizzeria’s most popular pies. At the same time, the proprietors emphatically state their goal of keeping preparations simple. Otto offers both a self-service counter and a full-service dining room. The service at this 50-year-old Baltimore landmark is fast-casual style, but don’t expect a trendy place. The emphasis is on tradition, including the classic way for making a pie. It was asking customers to place their orders and wait for their order to be called long before the term "fast casual" had been coined. But there are some concessions to the times, including a smattering of flat-screen TVs within the various dining rooms, some of which sport fireplaces. The place boasts 300 seats in total. In a city that reveres authentic Italian food, Picco has drawn a following with such riffs on the familiar as a short rib, corn salsa and tomato pie. 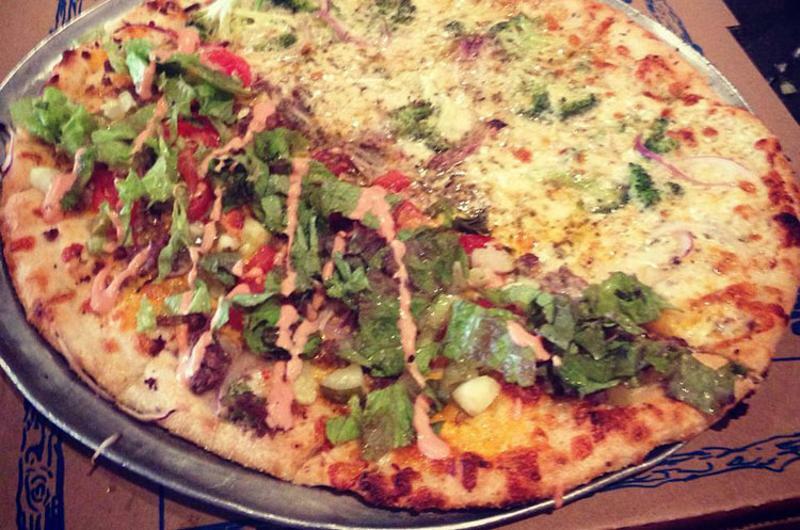 There’s also a mixture of roasted vegetables served atop dough with a Green Goddess salad dressing as the sauce. Customers are alerted that all pies are well done if not charred unless the staff is directed otherwise. One of the establishments that popularized what’s now recognized nationally as Detroit-style pizza, Buddy’s has been baking its square, Sicilian-style pies since 1946. The 11-unit concept has adjusted to contemporary tastes, adding gluten-free and multigrain crusts. But it insists the point of distinction for a Buddy’s pie is the inclusion of all fresh ingredients combined by hand, the same formula it followed back 70 years ago. 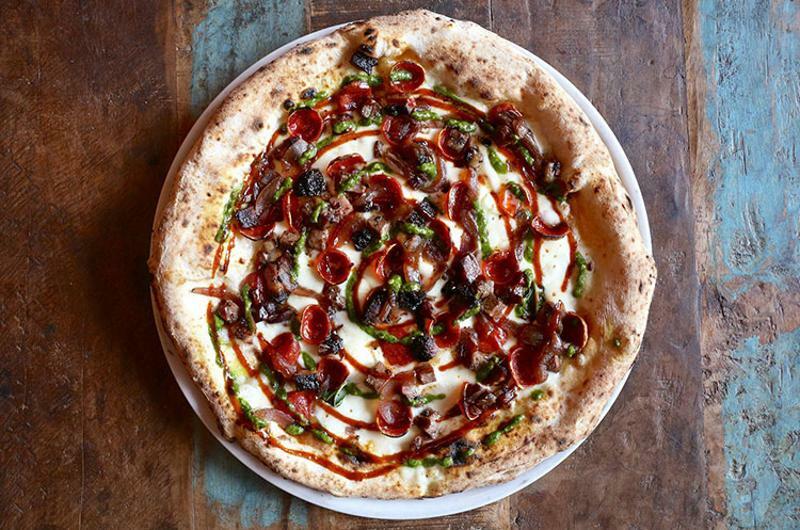 The brainchild of Korean immigrant Ann Kim, Pizzeria Lola (named after Kim’s dog) features such touches from her heritage as pizzas adorned with kimchee, soy-sauced short ribs and Korean sausage. Yet she shows great respect for more classic preparations in her use of seasonal, local ingredients, including fresh tomatoes. One of the place’s signatures is a photo booth. Patrons are encouraged to take a strip of wallet-sized shots and hang it from the wall. Sal & Mookie’s; Jackson, Miss. It’s all about big, New York-style pizzas at Sal & Mookie’s, tossing its 18-inch pizzas in front of guests’ eyes via an observation window into the kitchen. The Little Italy-themed pizzeria offers an array of signature pies named after NYC landmarks—Central Park, Empire State and Meatpacking District, for example—but also counters the veto vote with a big menu that includes panini, subs, burgers, salads and pasta. Lest guests worry about still being hungry after the thin-crust pizza, the concept has a full ice cream parlor inside, as well as a full bar with daily specials. Dewey’s founder Andrew DeWitt sums up his brainchild as “the Hendrix guitar solo of pizza,” a reflection of his onetime ambition to become a guitar god and the rock and roll vibe he tries to give the concept. Seasonal specials include such far-afield options as a blueberry salad and a pizza made with arugula tossed in a lemon vinaigrette. 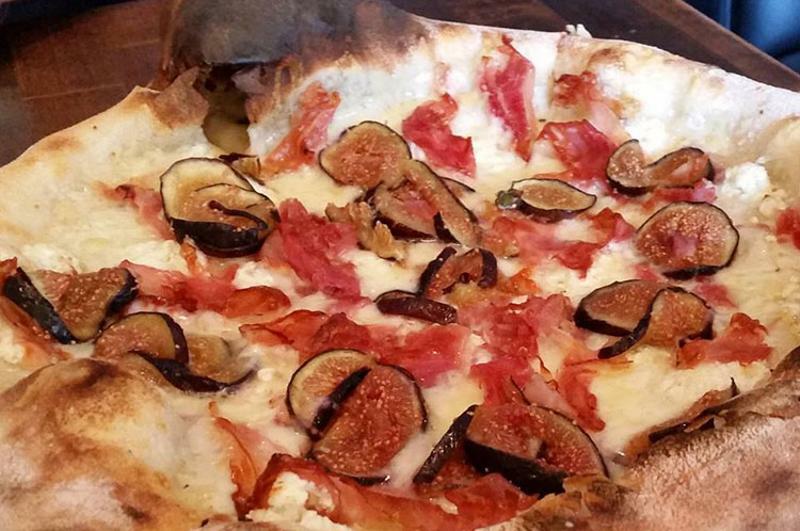 Year-round pies come in three sizes and include the Porky Fig, made with fig jam, prosciutto and Gorgonzola. 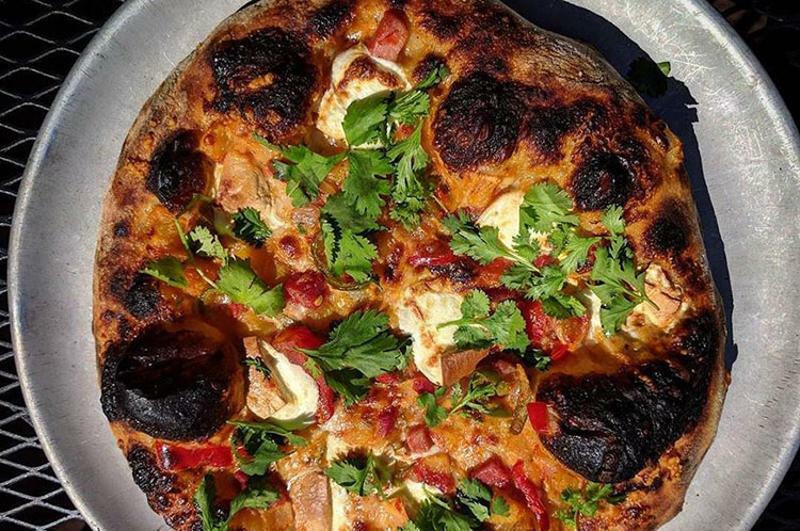 This Montana pizza joint has won a ton of “Best of” awards for its brick-oven pies made mostly with organic, farm-fresh ingredients. 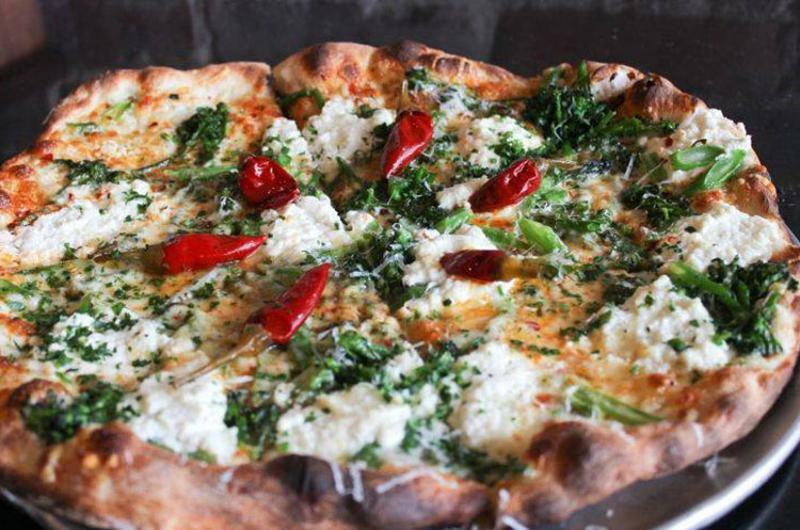 Beyond the traditional sausage and onion toppings, Biga uses meats and veggies from within a few hundred miles and funky ingredients such as housemade fennel marmalade, broccoli rabe and herbed mascarpone to make up its menu. To boot, the chain shows a lot of Montana pride, making its crust from Montana wheat and buying from local farmers to create seasonal specials. 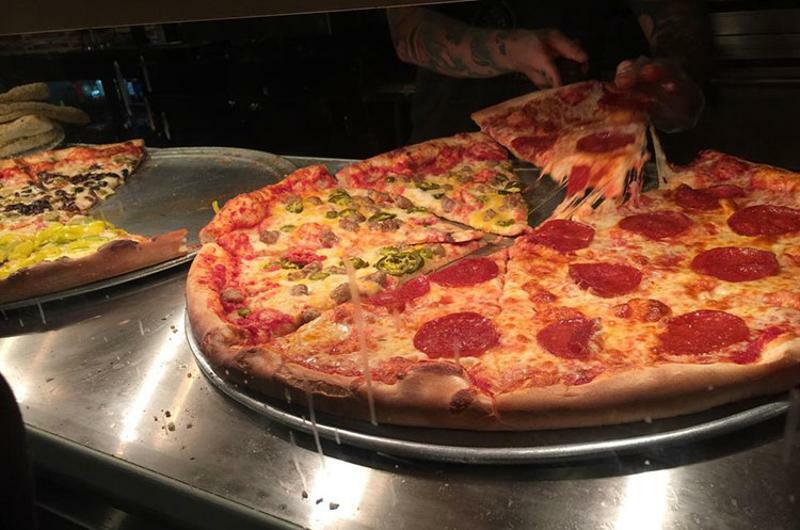 Diners can sit at the counter to watch staffers hand toss and assemble pizzas before tossing them into the fire—upping the eatertainment factor to draw in diners. Pitch Coal-Fire Pizzeria; Omaha, Neb. It may be a pizza concept, but the two-unit spot—named one of the Top 100 Hot Spot restaurants in America by OpenTable—doesn’t limit itself to Italian fare. In addition to the pizza menu that lists traditional variations as well as funkier varieties like garlic-roasted scallop pies, the menu includes appetizers and entrees such as coal-fired tilapia tacos and shrimp egg rolls. To expand beyond the traditional lunch-and-dinner-only image of pizza shops, Pitch offers weekend brunch, offering the full menu as well as breakfast cocktails and options such as chilaquiles and streusel-berry pizza. 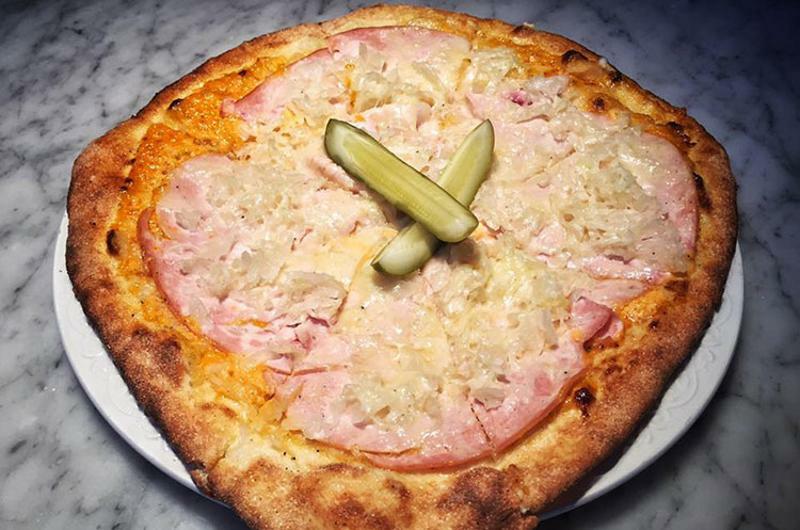 When a pizza shop’s part-owner is 12-time world pizza champion Tony Gemignani, diners expect a lot from the pie. 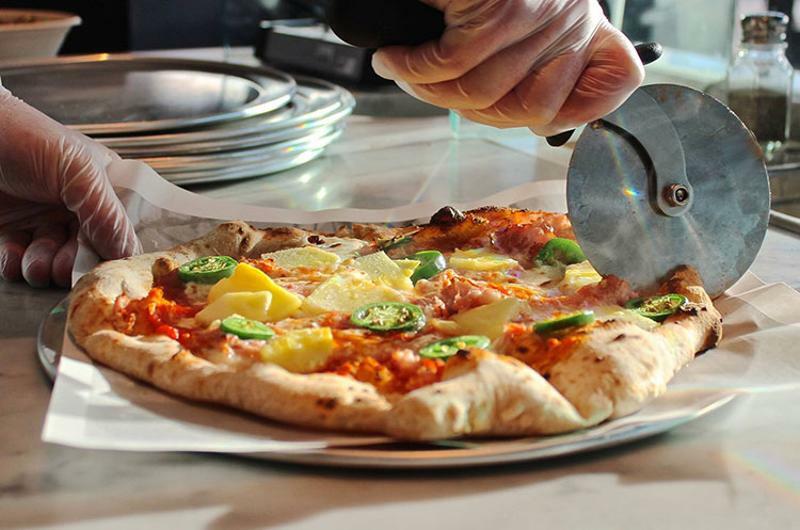 In addition to Gemignani (who is chef-owner of 13 restaurants and has done multiple TV appearances) bringing in the hype, Pizza Rock is getting that social buzz, commonly named on top pizza lists. So to keep pizzas flying to the 185 seats, the concept runs four different ovens that churn out everything from cracker-thin crust to thick-crust Sicilian styles. Too, Pizza Rock plays to Las Vegas’ love of nightlife—and getting people to come for the food and stay for the 23 rotating drafts and 60 bottled beers. It is open late-night and has a DJ spinning every Thursday through Sunday. La Festa Brick & Brew Pizzeria; Dover, N.H.
Not wanting to be a one-size-fits-all pizza shop, La Festa menus New York hand-tossed pizza, Sicilian deep dish and thin-crust brick-oven pies. Unlike many of the full-service spots on the list, diners at La Festa order at a counter, then go find a table if they want to eat in-house—a more casual style to match its college student-heavy crowd. 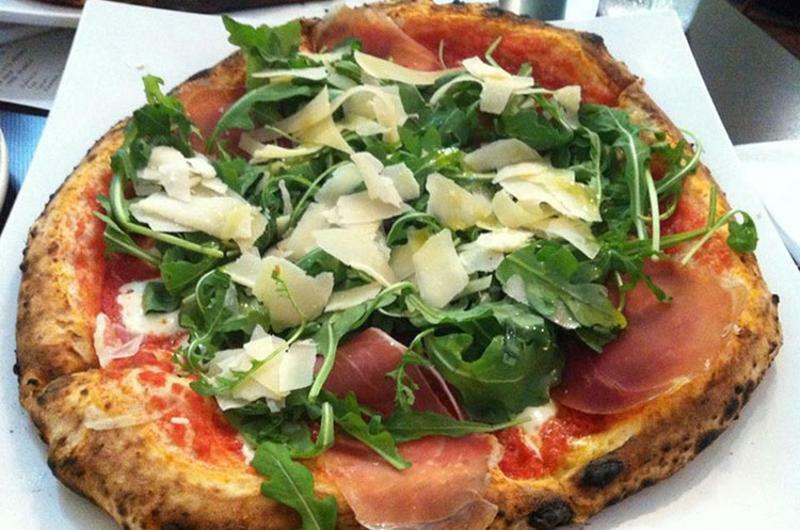 First an osteria, then a pizza restaurant, Arturo’s offers a menu of authentic Italian cuisine: pasta, salad, small plates and, of course, pizza. The concept plays up its use of local, farm-fresh ingredients, even touting its list of local farm partners on its website to further inform guests of where their food is coming from. And it’s something guests are seemingly willing to wait for; Arturo’s doesn’t take reservations, and is known for long waits. Part thin-crust pizza shop, part wine bar, Farina caters to the downtown crowd by paying homage to the Albuquerque art scene, lining its brick walls with a rotating selection of works from local talent. Then menu, too, has an artisan feel; pizzas are topped with fresh ingredients—often locally sourced—and house-cured meats. To further set it apart as a New Mexico concept, as well as drum up a lot of social media chatter, all pizzas can be topped with organic roasted green chiles, a signature of the state. 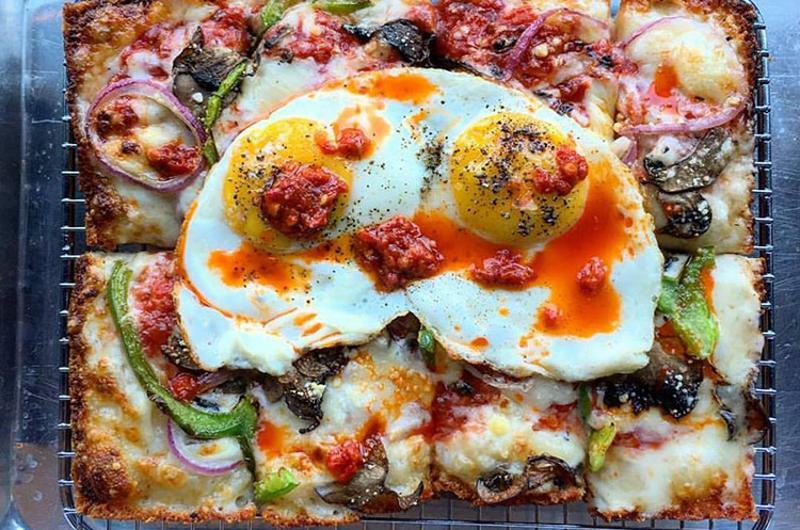 It may be located in New York, but Emmy Squared is slinging Detroit-style square pizzas in quarter sheet pans. 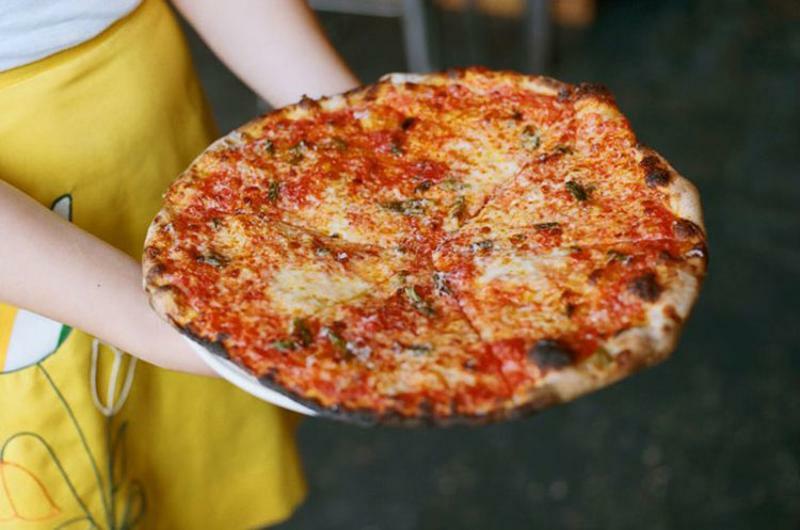 An offshoot of Neapolitan pizzeria Emily in Clinton Hill, this Williamsburg spot has drummed up attention this year with its seasonally changing menu, having been named on Bon Appetit magazine’s best new pizza joints in America and best fried chicken sandwiches of 2016 lists. While it may have a local neighborhood vibe, Emmy is all about the latest technology, embracing Instagram and a reservation app for larger parties, and partnering with a third-party delivery service. 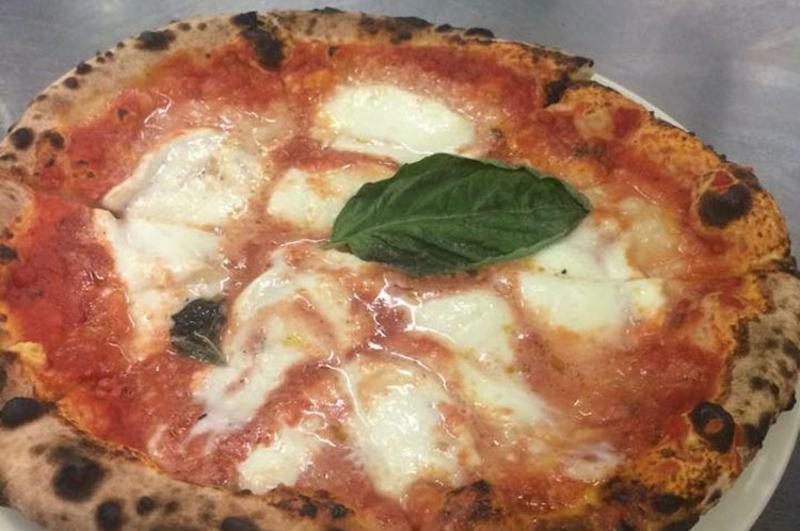 Determined to create an authentic Italian experience, the Neapolitan-style pizzeria imports its flour for dough, tomatoes and mozzarella straight from there. It’s also playing on the now-common-in-fast-casual 800 F ovens within the full-service realm, boasting that its scratchmade pizzas are cooked in under 90 seconds. 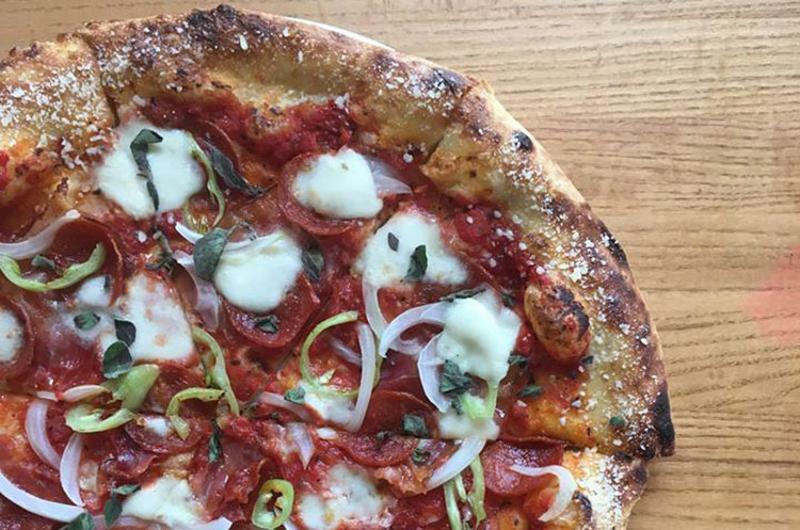 The one-store pizzeria has two more locations under construction—one in Georgia and another in South Carolina. 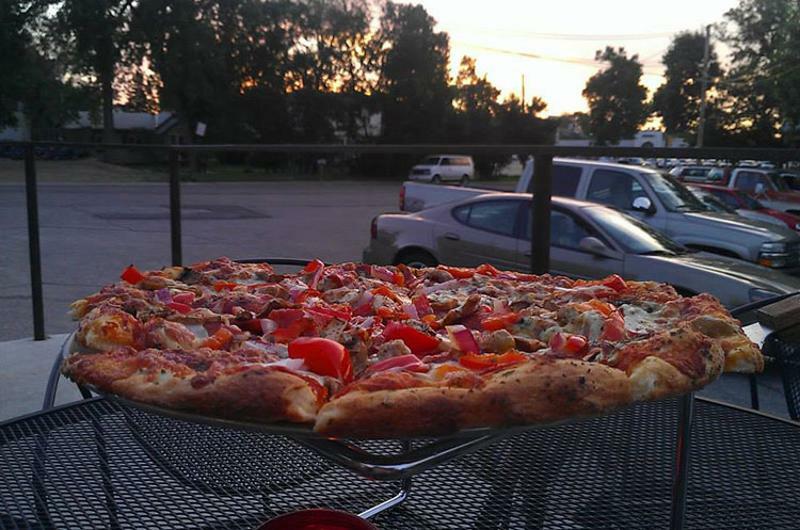 Fireflour Pizza & Coffee Bar; Bismarck, N.D.
What started as a mobile concept, the Neapolitan pizzeria found a permanent home next to Laughing Sun Brewing—so diners can grab a bite before heading to the brewery for live music and more drinks. When it got the chance to expand in 2013, it took over the adjacent storefront to double its seating capacity and add a craft coffee bar. Fireflour is all about stressing the craft elements of its operation: its Neapolitan pizza made in a hand-built wood oven, a large menu of craft beers, housemade gelato and a craft coffee program that includes pour overs, cold-brew coffee on tap and a range of espresso drinks. With a motto of “local tastes better,” Harvest cooks its wood-fired pizzas in a semi-open kitchen for guests sitting out at communal tables. For guests who have to wait, Harvest also runs the adjoining cocktail lounge, Curio. 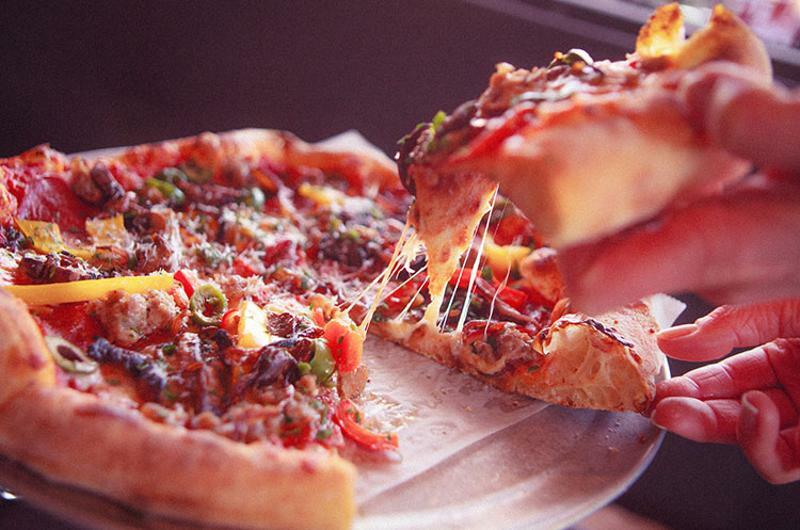 Since launching its initial restaurant in German Village, The Harvest Pizza team has opened another Central Ohio unit, with another expect to open soon. Empire Slice House is all about having fun. And it’d have to be, with a motto that says, “It’s like Frank Sinatra and David Bowie had a pizza baby.” Open lunch through late-night, the restaurant serves full pies as well as pizza by the slice, in a few traditional varieties as well as funky specials with names like Notorious P.I.G., Brussell Westbrook and Foghorn Leghorn. In addition to the in-restaurant dining option, guests can hit up the walk-up window for an on-the-go bite as well as a back cocktail patio. Lovely’s Fifty Fifty; Portland, Ore. 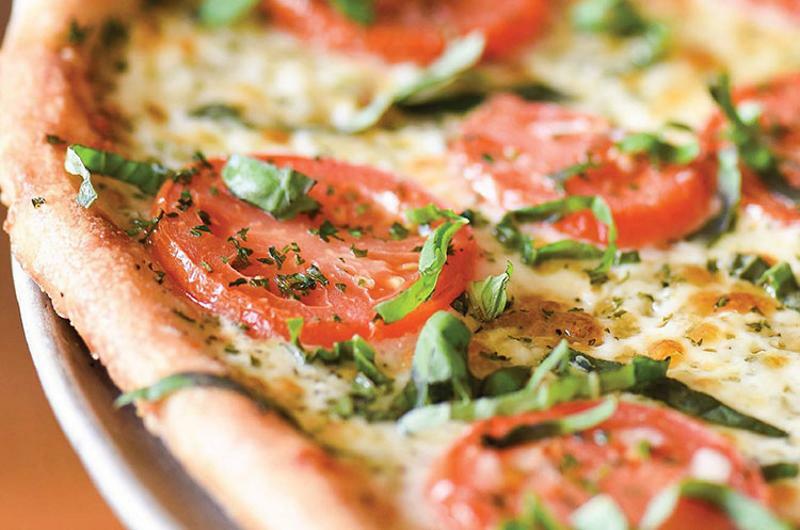 Proud of the fact that it serves American-style pizza, not Italian, Lovely’s serves up a seasonally rotating menu of pies topped with produce primarily from Oregon and Washington farmers. 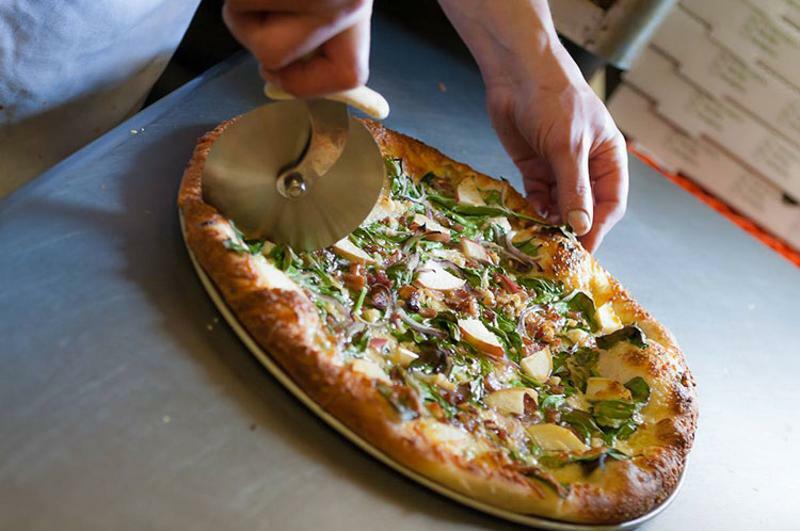 “If it’s local and fresh and in season, Lovely’s Fifty Fifty will find a way to put it on pizza—and make it taste good,” wrote Oregon Live. Furthering the eco-friendly, local feel, Lovely’s offers beers from Oregon brewers, low-intervention wine-making wines, housemade sodas and a fermented kombucha. The concept also makes its own ice cream, mostly organic. But celiac guests beware: While Lovely’s offers some gluten-free starters and salads, it will not make a gluten-free pizza, and hot appetizers are cooked in the same oven as pizzas. 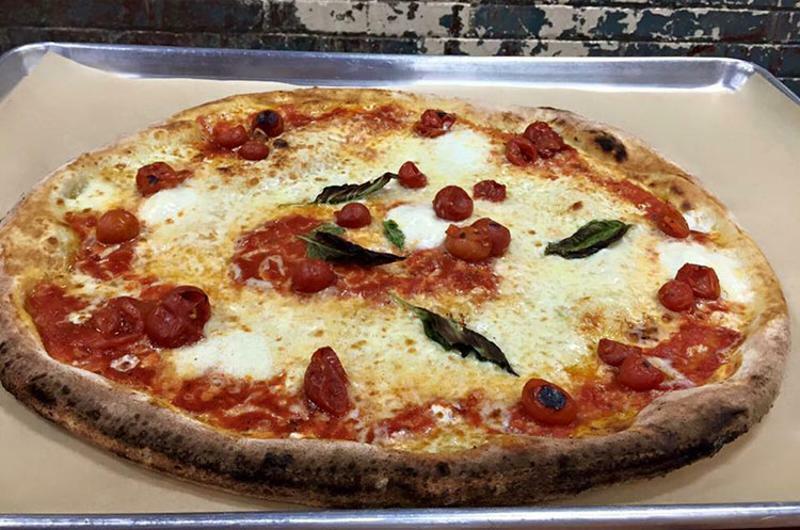 This Neapolitan pizza joint got rolling in a 1949 REO Speedwagon. Nomad now offers meatballs, risotto balls, house salads and 13 different pizzas at four locations in Philadelphia and New Jersey. The pizza concept hasn’t fully retired that REO Speedwagon—it still drives the crew’s catering business. Providence Coal Fired Pizza; Providence, R.I. 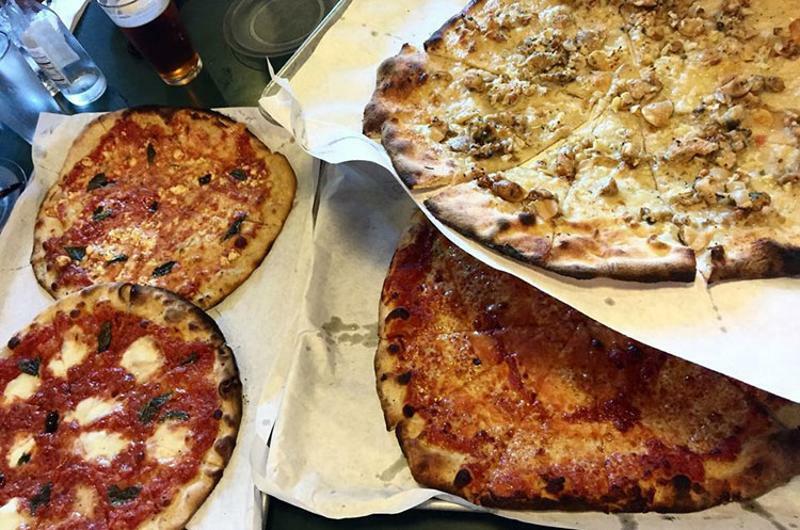 This health-forward operation claims to be the first and only coal-fired pizzeria in Rhode Island. The restaurant cooks its rectangular pies with Pennsylvania coal. 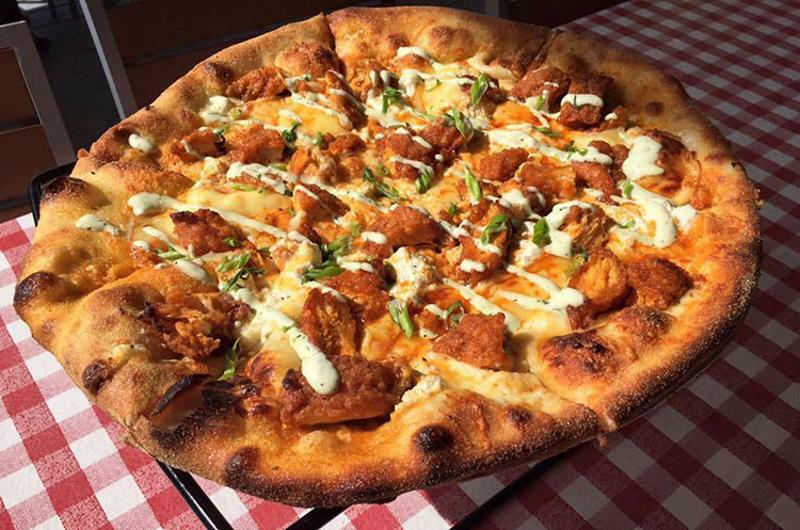 Besides pizza, the from-scratch menu includes other coal-fired items such as wings and a Caesar salad. EVO Pizzeria; North Charleston, S.C. FIG alums Matt McIntosh and Ricky Hacker started slinging their locally sourced pies out of a mobile pizza trailer in 2005. The duo ditched the trailer two years later, opting for a brick and mortar that houses a 400-square-foot kitchen and a 900 F oven that can churn out pizzas in three to four minutes. 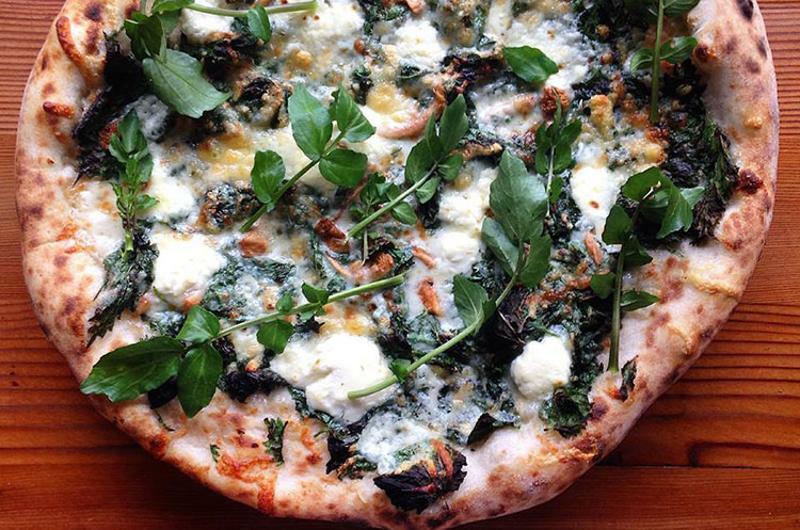 EVO doesn’t just deliver on savory creations such as its Pistachio Pesto or Pork Trifecta pizzas. Next door, EVO Craft Bakery sells European-style pastries and bread, supplying many nearby restaurants. McIntosh and Hacker also own an artisanal chocolate company whose confections often end up on the dessert menu. Dough Trader Pizza Company; Spearfish, S.D. Based out of a revamped Tastee Freez, everything about this pizza company is just a little bit retro. Its dough is made from 1880s sourdough starter, and its pizzas run along a vast timeline of influences from Thomas Jefferson to Betty Rizzo. If customers want a piece of this restaurant’s pie, they’d better come with their wallets padded—there’s no credit card reader and definitely no Apple Pay in sight. 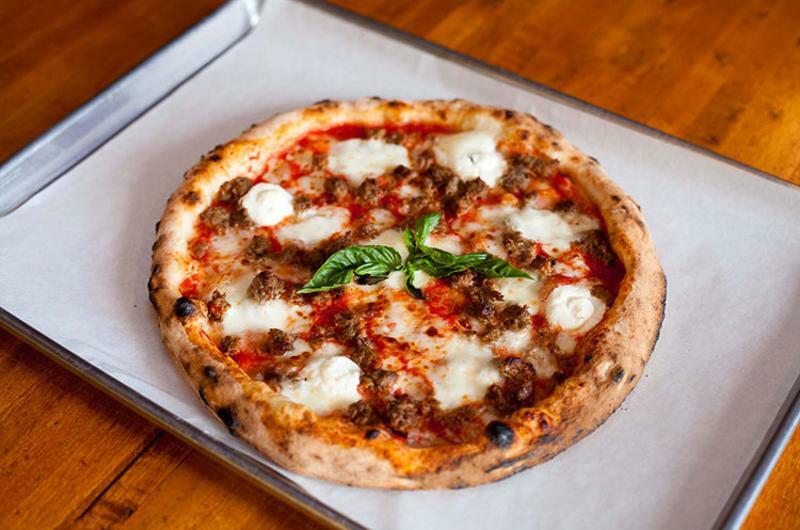 Although Music City picked this Neapolitan-style pizza chain, DeSano has locations in Los Angeles; Charleston, S.C.; Fort Lauderdale, Fla.; and soon in Charlotte, N.C., and Austin, Texas. Each week, ingredients are flown in from the Campania region of Italy. The core ingredients’ origins are laid out on the restaurant’s website. For instance, DeSano’s sea salt hails from the historic salt flats in the Emilia-Romagna region of Italy. Despite the high-quality pies, the atmosphere is rather casual, with several TVs often tuned to soccer matches. 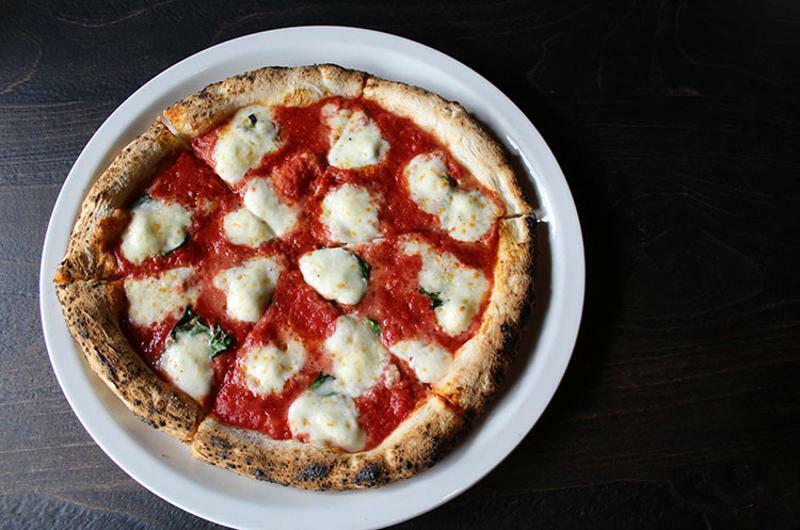 These wood-fired Neapolitan-style pizza joints have popped up all over the Dallas-Fort Worth area, Houston and Austin, Texas. This year, the chain also announced a Frisco, Texas, location in the Dallas Cowboys’ new headquarters. Owner Jay Jerrier, a known dog lover and founder of a pet rescue group, has built outdoor patios into some locations where guests can eat with their furry friends. Recently, Cane Rosso expanded its offerings to include brunch cocktails. Leather booths and lots of locally reclaimed wood give this New York-style pizza place a vibe that falls somewhere between upscale and casual. 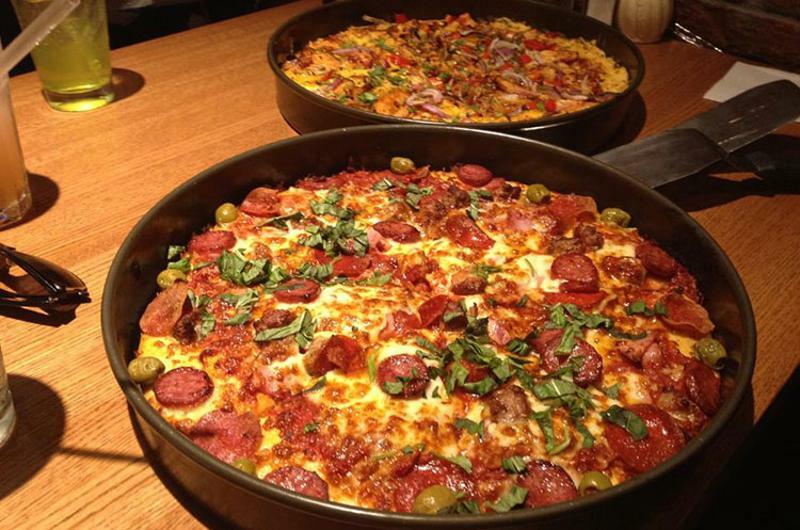 Guests can order from eight specialty pizzas or customize their own. The 800 F wood-fired oven chars the pizza with “leopard spots,” but Centro gives guests the option to order their pizzas “blonde,” or lightly cooked. 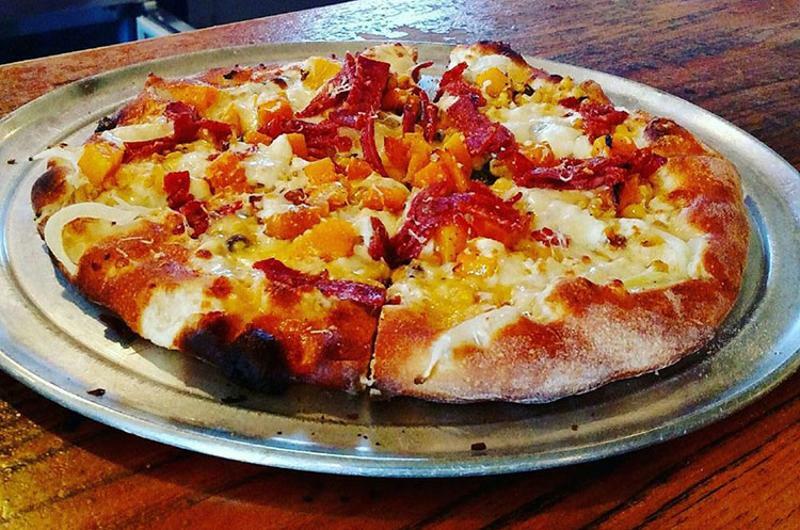 The Parker Pie Company; West Glover, Vt.
Born in the back of a country store, this pizza shop is known for its specialty pies, beers, fermented beverages and live music. The most famous menu item is 100% Vermont: The Green Mountain Special, with bacon, cheddar, apple and maple syrup. Pupatella Neapolitan Pizzeria; Arlington, Va. 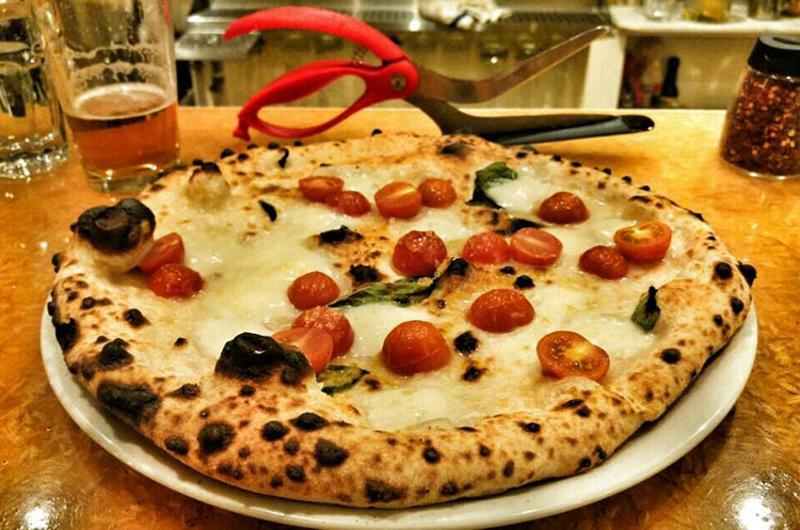 Packing nearly 1,000 F of heat, the pizzas at this Neapolitan purist’s haven are cooked for no more than one minute. Owner Enzo Algarme studied pizza making in his hometown of Naples, Italy. 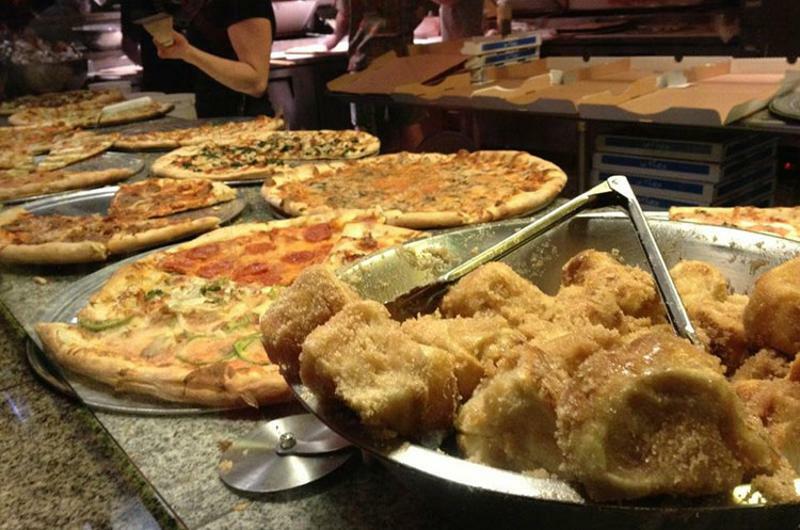 Algarme also serves up fried risotto balls and calzones out of his strip storefront. 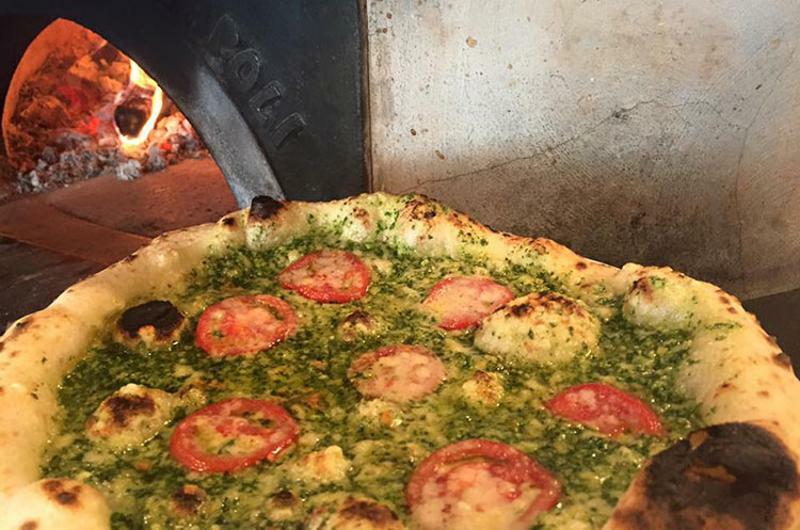 This wood-fired pizza operation is something to write home about. Just ask famous blogger and co-owner Molly Wizenberg, who runs the restaurant with her husband Brandon Pettit. This year, Wizenberg wrote a book about the tasty and crumby bits of selling New York-style pizzas with her husband. 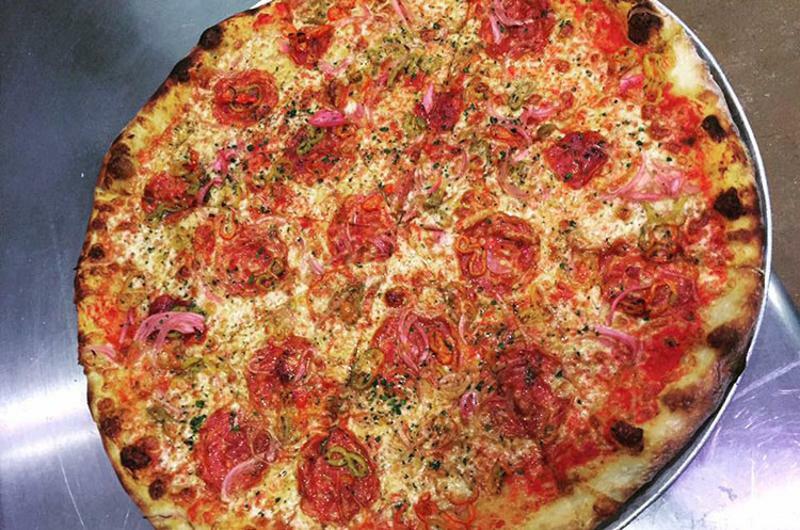 Pettit, a native to the East Coast, cures his homesickness with creations that ode New York institutions, such as Di Fara Pizza. Pies & Pints Pizzeria; Fayetteville, W.V. Perhaps unsurprisingly, this chain is known for its out-of-the-box gourmet pizzas and craft beers. 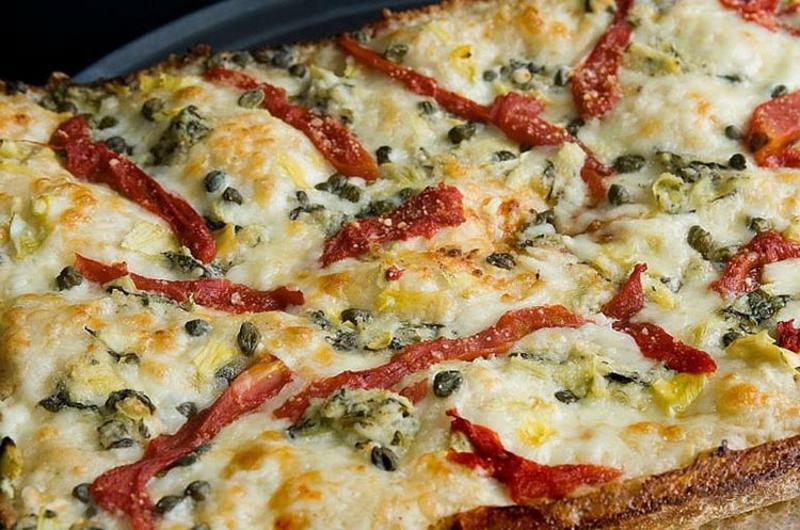 Wacky concoctions like grape and gorgonzola pizza won over its West Virginia locations, and the chain has since expanded to Ohio and Kentucky, with a unit in Alabama soon to follow. 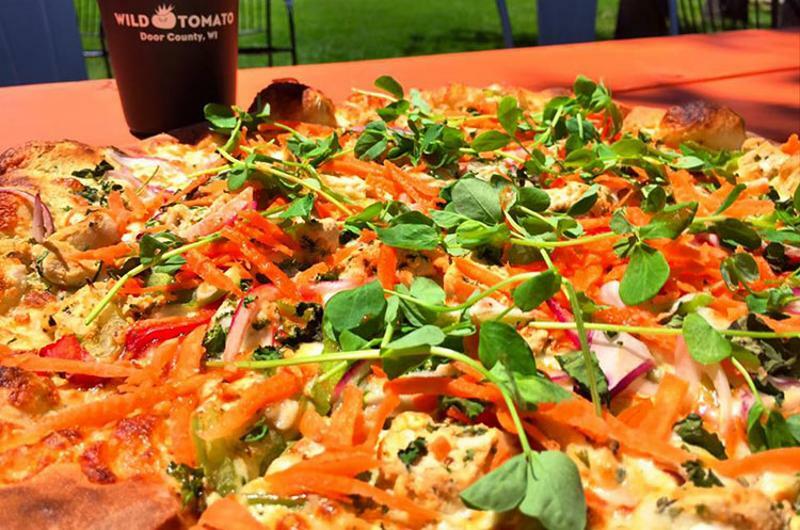 Wild Tomato Wood-Fired Pizza and Grille; Fish Creek, Wis.
With a mission to “show a deep respect” for human beings and the community, Wild Tomato hawks pies to enhance Wisconsin’s Door County. 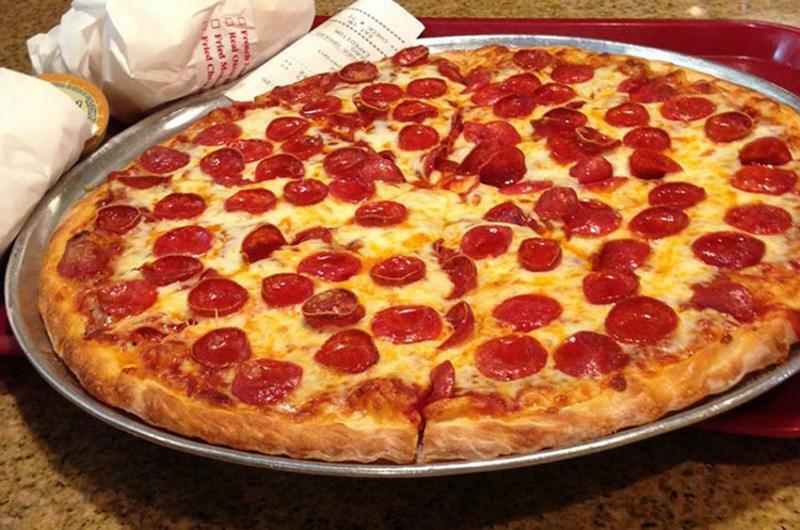 The pizza joint tries to offer the best ingredients at a reasonable price point for patrons, according to their website, and most large pies can be devoured for under $23. To wash down those moderately priced eats, Wild Tomato offers crowlers, 32-ounce cans of craft beer on tap that are sealed with a canning machine. 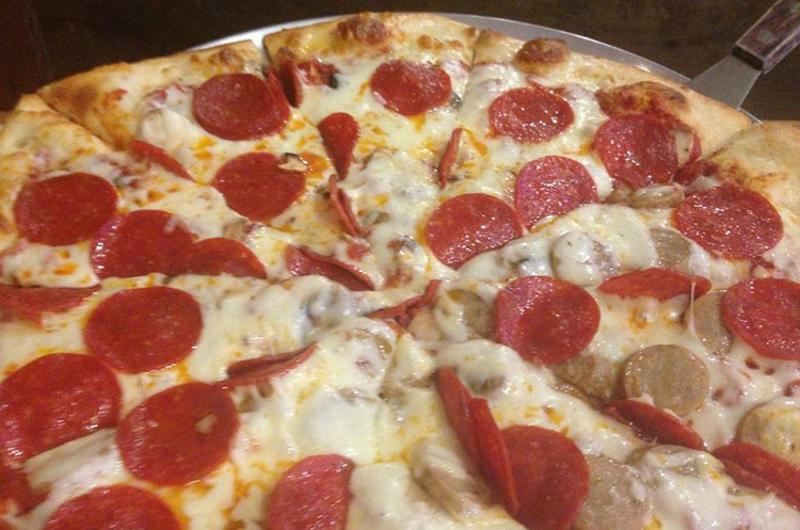 Each month, the pizza place offers a specialty pizza that benefits a new charity. For each “Donation Creation” ordered, Wild Tomato donates $1. They even had their orders delivered by fire truck to raise money for local fire departments. Old Chicago Pizza & Taproom; Gillette, Wyo. 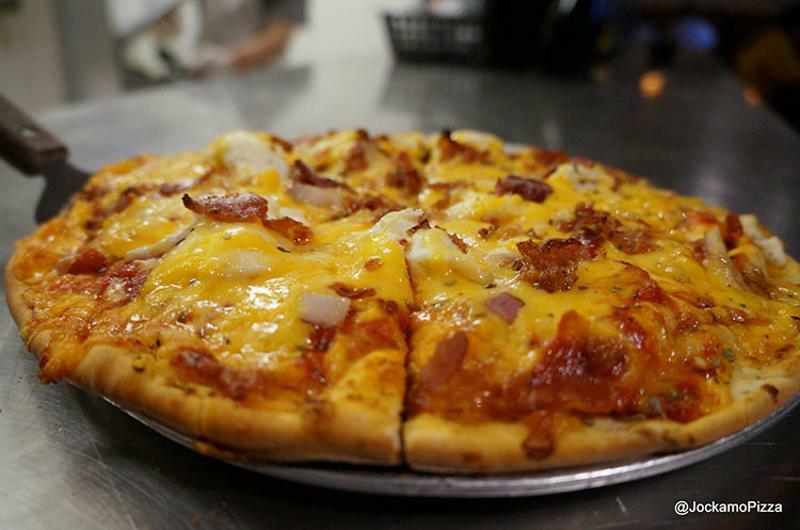 With over 100 locations, Wyoming prefers the tried and true scratchmade pizzas and brews of Old Chicago. The 37-year-old chain recently revamped its design, souping up the bar with tap towers, glass mug coolers, stainless glass storage and LCD beer menus. The redesign also comes with more in-depth bar training. In fact, Old Chicago posts training videos to its website, letting customers know they’re in the hands of experts.